You are invited! Click here and register today! 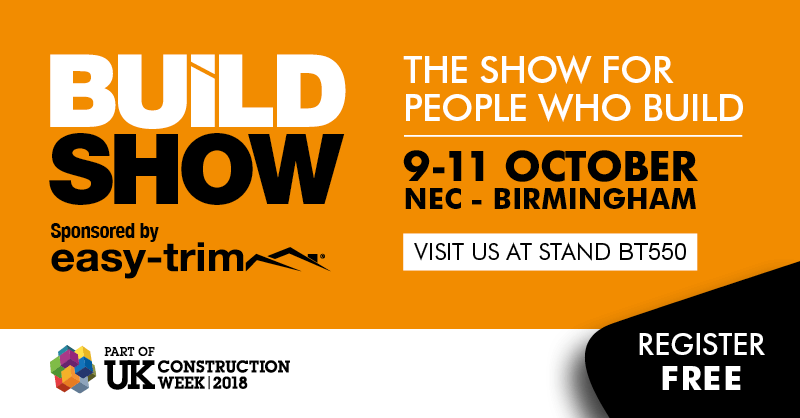 Visit us at the UK’s largest built environment event, UK Construction Week (UKCW), is FREE to attend and consists of nine shows: Timber Expo, Build Show, Civils Expo, Plant & Machinery Live, Energy 2018, Building Tech Live, Surface & Materials Show and HVAC 2018 running from 9-11 October and Grand Designs Live which is open to the trade on 10-11 October.